The real question is, what’s cheap? Lonely Planet is a little outdated; for example, it mentioned that empanadas were $4AR, meaning $1 US at this little cafe/restaurant near the park in Retiro. When I ordered two of them yesterday, they came to $11AR, which is almost $3US. I know that sounds ridiculously cheap, but for some reason, living on $14US a day is proving to be rather difficult. So I’ve come up with some free things I can do on what I’m going to call “Budget Days,” or days where I attempt to spend no money at all. 1. Ogle at the popular porteño haircut, the mullet. If you thought the mullet was well past extinction, think again. 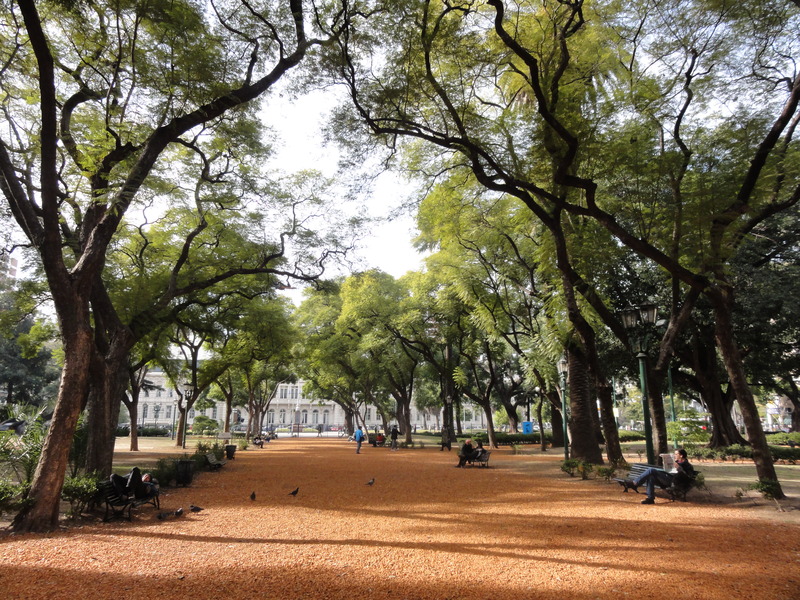 It’s alive and thriving here in the streets of Buenos Aires. 2. Ponder translation issues, like why the word “smurf” translates to “pitufo” and the word “horcrux” is still “horcrux.” Are smurfs real? 3. Roam the neighborhood. The cool thing about BA is that you can get just about anywhere on foot, and it doesn’t take too long. Lots of porteños crowd the streets in heavy winter coats and scarves, which I think is funny. It’s not cold here. The winter temperature, according to Lonely Planet, is comparable to winter in LA. 4. Check out the parks. 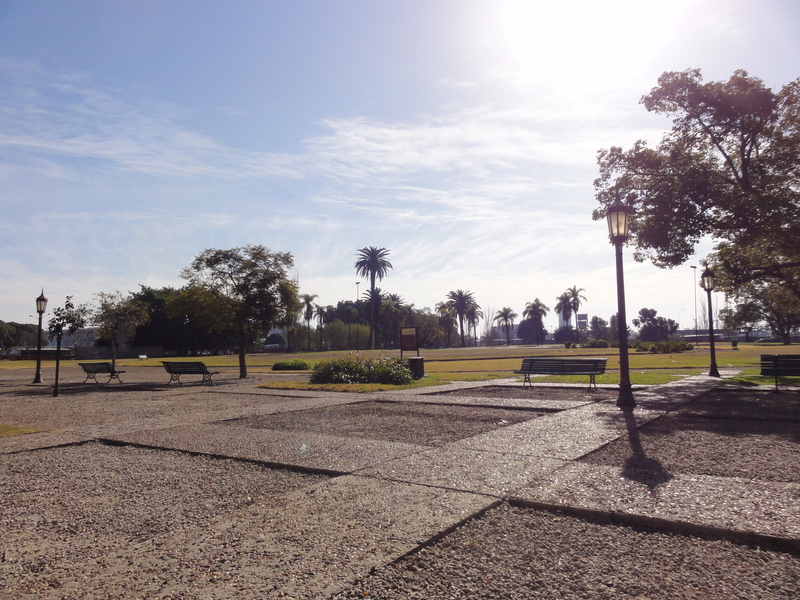 Most parks – minus the Japanese gardens – are free. And they’re totally beautiful and worth lounging in. 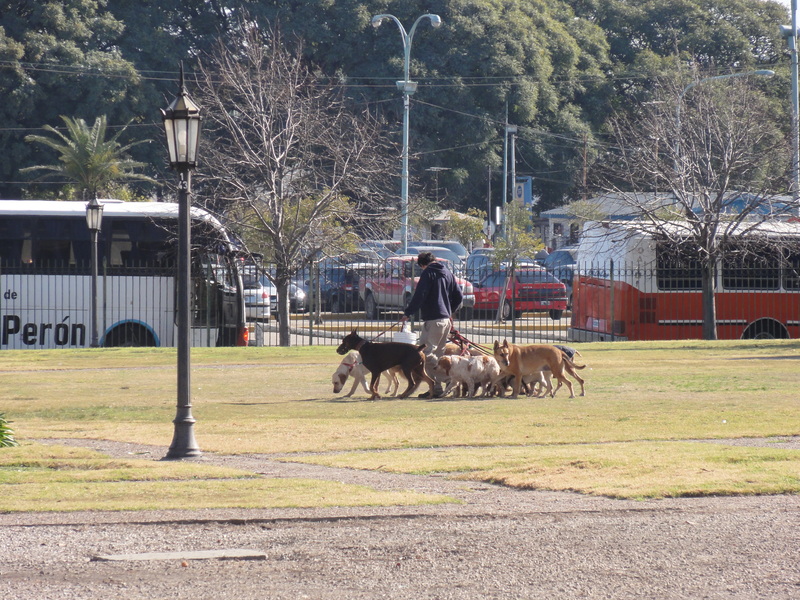 The rich folks in Recoleta don’t have all the time in the world, so they hire these people to walk their dogs. It’s very common to see one person with 12 dogs. And dogs run wild all over the parks and leave little presents on the sidewalks, because “curbing your pets” isn’t enforced here. Shar has experience with dog-walking and would probably clean up pretty well here (money-wise, I mean). haha. i have experience dog-walking, not dog-herding. that’s nuts!